Sons of Slain Journalist Khashoggi ask Saudi Authorities to Return Body Jamal Khashoggi's fiancee has called on President Donald Trump to back Turkey's efforts to investigate the death. 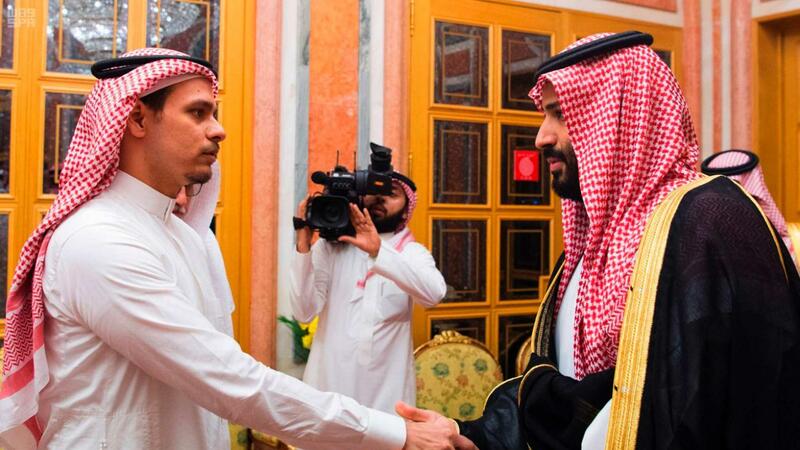 The sons of murdered journalist Jamal Khashoggi, in an interview with CNN, aired Sunday have asked Saudi authorities to return the body of their father thus family can properly grieve. "I really hope that whatever happened wasn't painful for him, or it was quick. Or he had a peaceful death," Abdullah Khashoggi told the United States network during the interview in Washington. His brother Salah said: "All that we want right now is to bury him in Al Baqi in Medina with the rest of his family," referencing a cemetery in Saudi Arabia. Yasin Aktay, an adviser to Turkish President Recep Tayyip Erdogan, hinted in an article published on Friday that the dead body may as well have been annihilated in acid. Khashoggi's killing has caused global indignation and sharp criticism from Washington, usually the staunchest of allies. Khashoggi's sons voiced concern that the work of their father, a columnist for The Washington Post, was being distorted for political reasons. "I see a lot of people coming out right now and trying to claim his legacy and unfortunately some of them are using that in a political way that we totally don’t agree with," Salah told CNN. "My fear is that it's being over politicized." "Jamal was never a dissident. He believed in the monarchy, that it is the thing that is keeping the country together." The brothers said they have relied primarily on news reports to piece together an understanding of their father’s death. "There's a lot of ups and downs… We're trying to get the story - bits and pieces of the story to complete the whole picture," Abdullah said. "It's confusing and difficult." "It's not a normal situation and not a normal death." Salah emphasized that "the King has stressed that everybody will be brought to justice. And I have faith in that." The murdered journalist's fiancee interim has called on President Donald Trump to back Turkey's efforts to investigate the death.